Hanson Hosein, Director of MCDM, announces the program’s addition of a sister program – the MCCN. Both now reside under the Communication Leadership banner. Read on to discover the reasons for the shift and what it means for current and incoming students. How do we influence and persuade in the digital age? What would we consider successful engagement in today’s communication ecosystem? What strategic competencies must we media professionals master, to lead the way within our organizations? As a collective over the past six years, the MCDM has responded: successful communication requires the design of intelligent relationship-building strategies anchored by compelling stories and insightful analytics. This approach, our collaborative, community-facing learning environment, and our superlative faculty drove and sustained our success. The Communication Leadership program, with its unique degree emphases in digital media and creative engagement, guides professionals into those transformative roles through the design of networking strategies, anchored in compelling storytelling and insightful analytics. In this way, professionals build the necessary communication knowledge, strategies, and skills to manage content, information, systems, people and change. Such a program is especially well suited to the Pacific Northwest and its reputation for innovation and entrepreneurship, enhanced by robust social and civic connectivity. We built this structure and program over the last six months for our community, in collaboration with our community. Early in the process, some of our constituents requested that we proceed with adequate respect for the foundation that we had collectively built with the MCDM, even as they urged us to think strategically about the framing of the new program. So we listened. And we slowed down. Embedded in this post is a brief that outlines the genesis of the new program, our motivation for pursuing it, and the rigorous process we’ve undertaken up to now. In the report, you’ll see that we consulted with industry advisors (our network) about this prospective shift. They were the ones who told us that there’s great demand now for leaders who have strong communication experience in connecting people, ideas and skills to effect successful outcomes. They told us that they were less interested in a program that produced graduates with certain skills, and rather sought potential hires that could instill a particular aptitude to managing and leading the dramatic professional change that so many are presently facing. With this new program and the pervasiveness of digital technologies, we declare that “communication” is now as fundamental a field of competence for leaders as say “finance.” So it’s crucial that our graduates bring a considered approach to the creation and distribution of content and knowledge within strategically convened networks. The MCDM had already been headed in this direction. I hope that the Communication Leadership program, with the MCDM and now the MCCN will take us all the way. 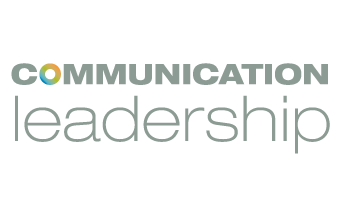 (1) February 4 2013: Communication Leadership information session, 6-8 p.m. at the Husky Union Building at the University of Washington: details. (2) February 13 2013: We’re co-sponsoring (and I’m hosting) the Seattle Chamber’s in-nw Conference 2013 “the current and future landscape of social engagement” at the famed Showbox in SODO. The day-long program is designed to reflect much of what I’ve outlined in this post. So if you want experience Communication Leadership in a nutshell, register here. Flip the Media will be reaching out to students and other interested members of the community over the next week in order to find out what questions or comments they might have as a result of the changes. We will then present these to the program leadership for a response and report back to you in the next week or so. Comment here or via twitter – @flipthemedia or post to the Flip the Media Facebook page.